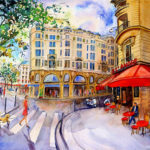 Phong Trinh uses her surroundings and travels as inspiration for her vivid watercolors. 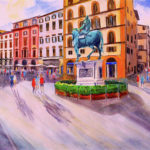 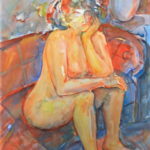 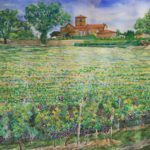 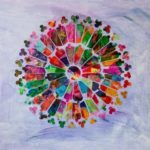 Her sense of color and impressionistic style imbue each of her works with a romantic and nostalgic air. 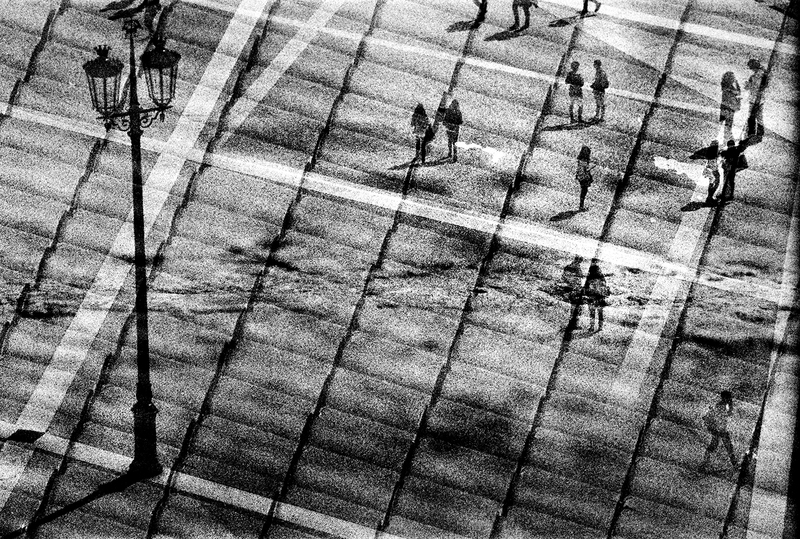 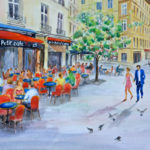 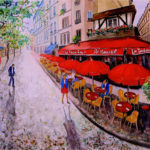 Trinh’s Café St. Andre depicts Paris at its most lovely, with the café’s vibrant red awnings drawing in the viewer. 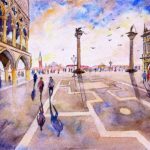 Venice’s Piazza San Marco is awash in yellows and blues after a rainstorm. 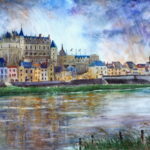 A scene of Amboise, France, captures the allure and quaintness of the French countryside. 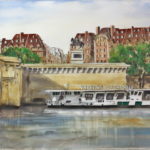 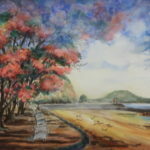 The medium Phong has chosen, watercolors, best reflects an artist who understands that life is better experienced unhurried and open to the sensations of the environment around them. 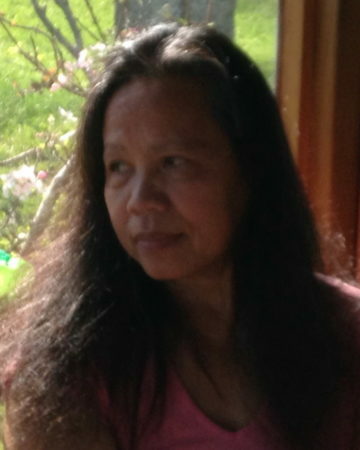 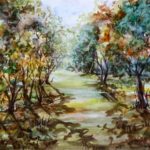 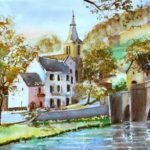 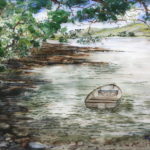 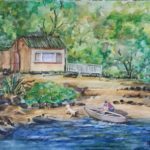 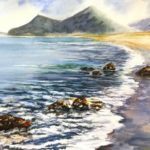 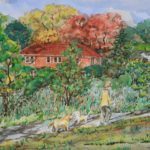 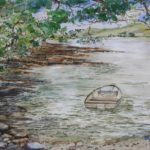 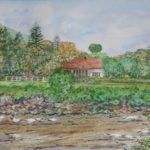 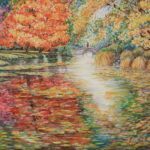 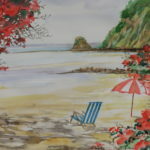 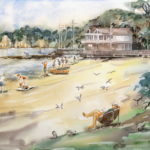 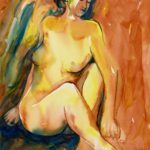 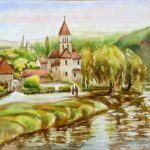 Originally from Saigon, Vietnam, the self-taught watercolorist now lives in Aukland, New Zealand.